The amount of vegetation in a city is an important factor in the urban heat island, where temperatures in urban areas rise an average of 1 to 3°C due to the absorption of heat by asphalt, concrete, stone, steel, and other impervious surfaces. 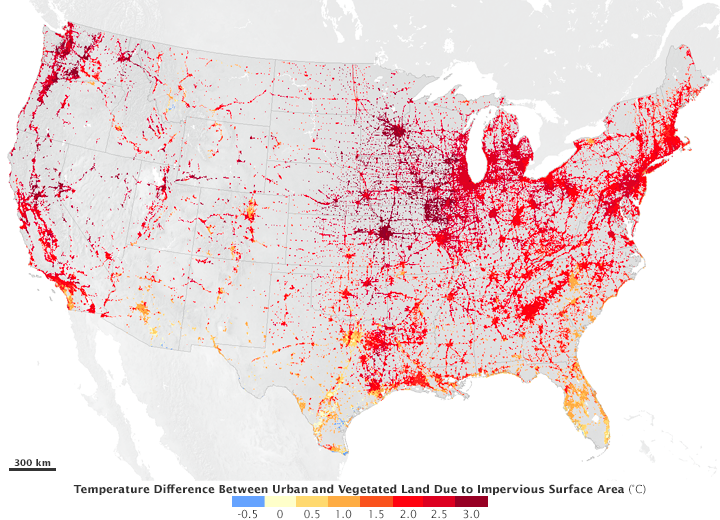 Vegetation helps cool these areas and a new study by NASA, shows how essential plant cover is. 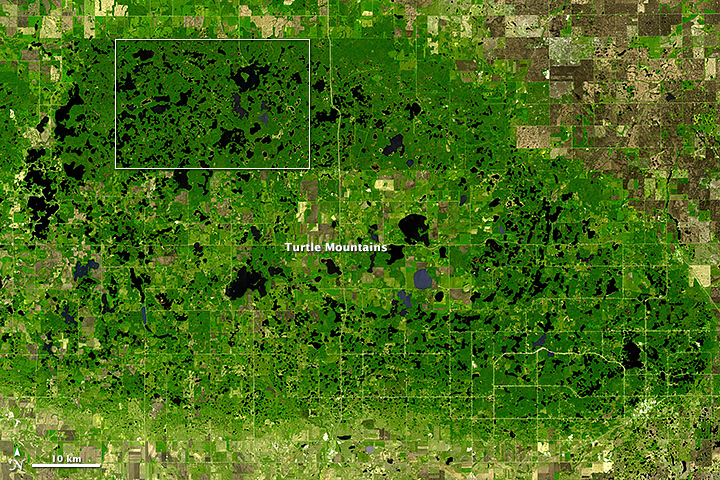 Researchers modeled urban areas and their surroundings, using data from multiple satellites including MODIS on-board both Terra and Aqua and Landsat 7’s Enhanced Thematic Mapper Plus (EMT+), finding that areas covered partly by impervious surfaces had an average summer temperature 1.9°C higher than surrounding rural areas. In winter, the temperature difference was 1.5 °C higher. Lahouri Bounoua, a researcher at Goddard Space Flight Center and lead author, along with his colleagues used the model environment to simulate what the temperature would be for a city if all the impervious surfaces were replaced with vegetation. Image courtesy NASA/GSFC/METI/ERSDAC/JAROS, and U.S./Japan ASTER Science Team. Caption by Adam Voiland. NASA Earth Observatory image by Jesse Allen, using data from NASA/GSFC/METI/ERSDAC/JAROS, and U.S./Japan ASTER Science Team. Caption by Kathryn Hansen. Crete is the largest and most populous Greek island, spanning 8,300 square kilometers (3,200 square miles) and supporting a population of 620,000. A short distance northwest of Crete is a lesser-known Greek island, Antikythera. 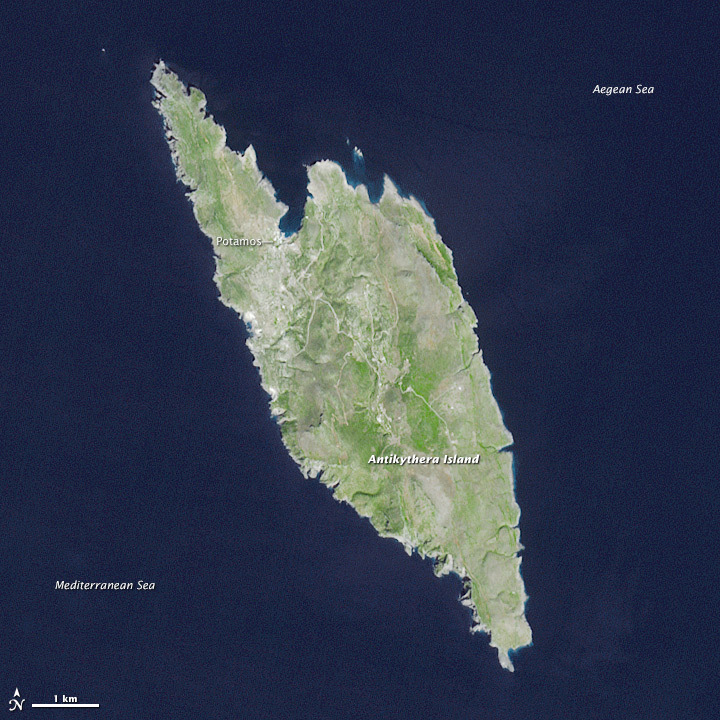 The island is comparatively tiny, spanning just 20 square kilometers (8 square miles) and supporting a human population that hovers around 50. 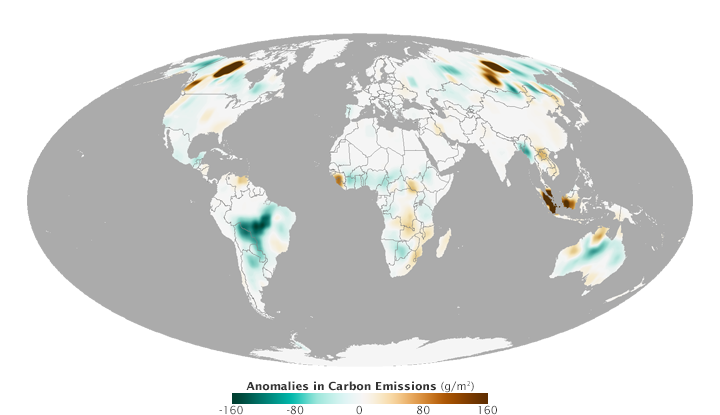 NASA Earth Observatory image by Jesse Allen, using data provided by John Yorks and Matthew McGill of the Cloud-Aerosol Transport System (CATS) team. Caption by Kathryn Hansen. Cirrus—the wispy, icy clouds that form high in the atmosphere—are known to have a net warming effect on the climate. But how much? The question is hard to answer because even among cirrus clouds, there is wide variety and complexity in their structure. 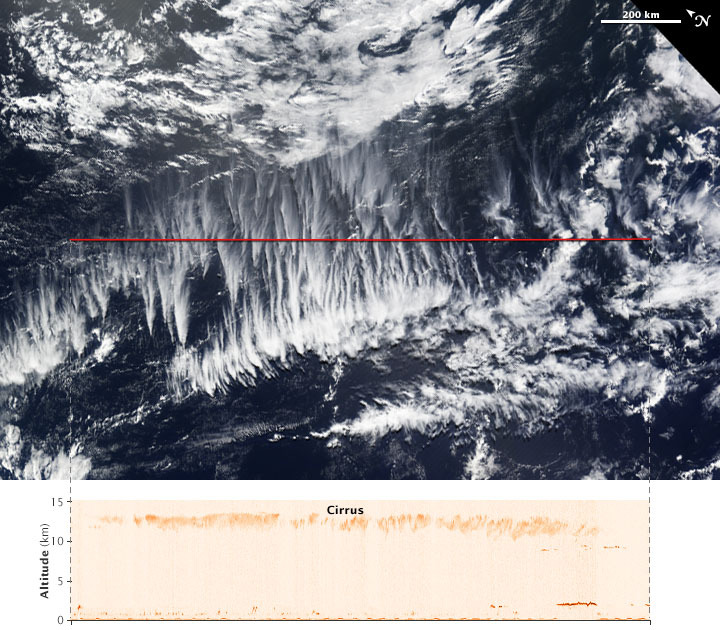 The Moderate Resolution Imaging Spectroradiometer (MODIS) on NASA’s Terra satellite acquired a natural-color view of clouds over the South Pacific on April 2, 2015. Cirrus are the thinner clouds appearing to spread out from points across the center of the image.